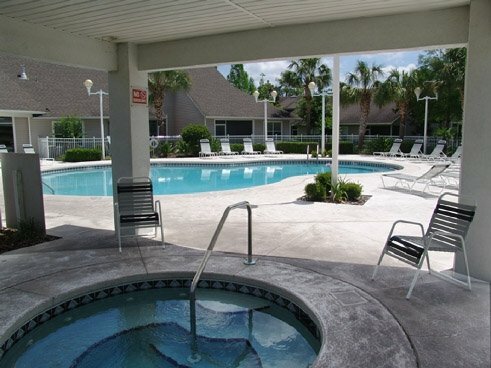 For students, staff, or faculty looking for peaceful off-campus living that is conveniently located to both the University of Florida and plenty of amenities, Asbury Park Apartments is an excellent option. 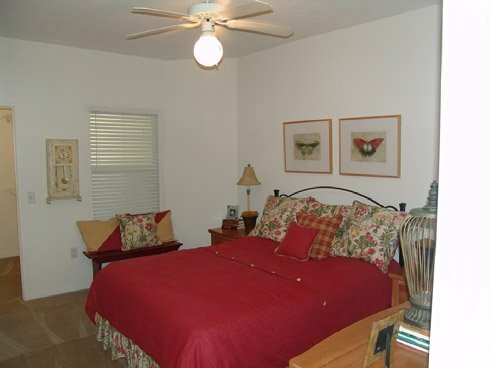 They offer 1, 2, and 3 bedroom floorplans that are perfect for singles, roommates, and small families. 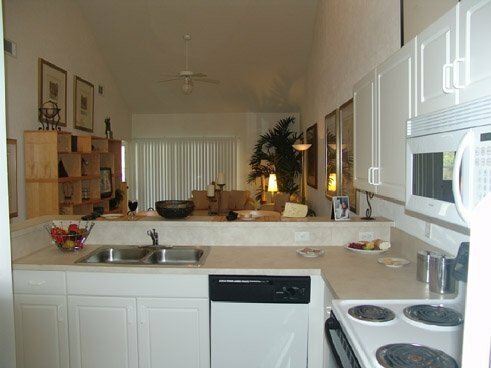 Also, every home comes with an attached, private garage, washer and dryer, and a screened-in patio. 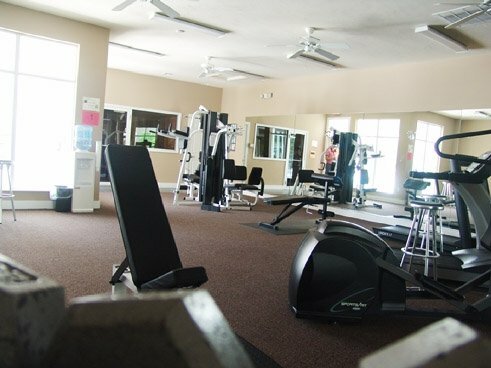 Additional amenities include a pool, tennis courts, and fitness center. Asbury Park is only about six miles from Reitz Student Union, at the center of University of Florida’s campus. Located just a few blocks north of Archer Road, commuters can drive to the center of campus in about 20 minutes. Simply drive south on SW 75th Street for a few blocks, make a left on Archer Road, and drive a few miles northeast. If you have classes on the south side of campus, near the College of Pharmacy or Veterinary College, there are several parking areas along the southern side of campus, which is very convenient. For students who have classes on the north side of campus, near Tigert Hall or Library West, drive on Archer Road, then either turn north onto Gale Lemerand Drive to drive through campus or turn onto SW 13th Street, which borders the eastern side of campus. It’s an easy drive, and bicycling is a convenient option, too. It only takes about 30 minutes to bike from Asbury Park to the Reitz Student Union using the same route. Residents who prefer to use public transportation will find it easy to take the bus to campus. There is a bus stop for the #75 bus less than a block away, and that runs to Sam’s Club by Butler Plaza. From there, the #1 bus connects, and that route goes around and through campus. It’s also easy to access shopping and dining via the bus, as the #75 bus goes to The Oaks Mall and Butler Plaza, two of Gainesville’s popular spots for shopping and dining. There is a Publix Grocery Store and several dining options within a 10-minute walk of Asbury Park. 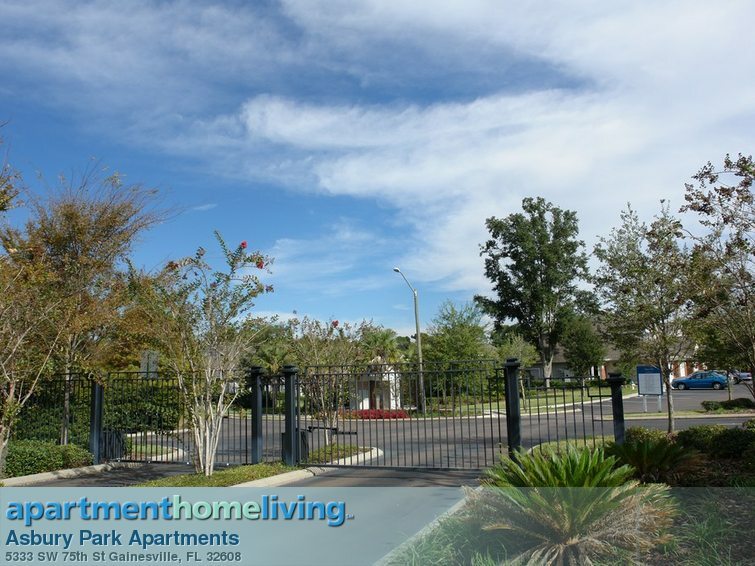 Shopping at the Oaks is less than a 10 minute drive, while Butler Plaza, featuring a Trader Joe’s, Target, a movie theater, and more, is also about 10 minutes by car. 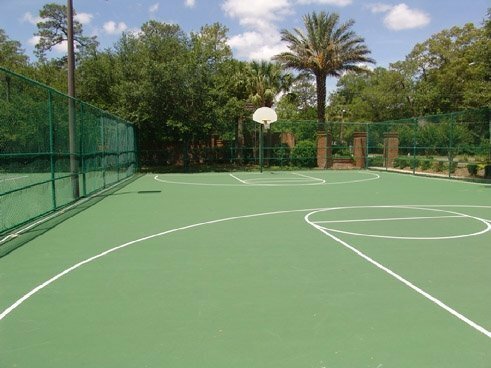 Living at this community allows students and faculty to have a peaceful, safe neighborhood, while still being conveniently located to action on campus and Gainesville attractions.